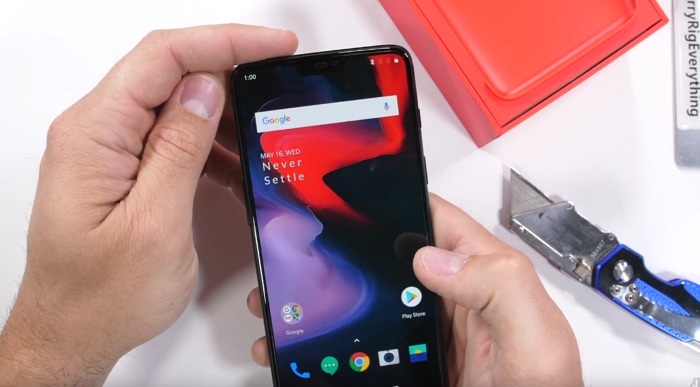 We previously saw an unboxing video of the new OnePlus 6 smartphone being unboxed and now we have another video of the handset. The latest video of the OnePlus 6 shows the handset being put through a number of torture tests. The tests include a scratch test, a burn test and of course a bend test. Lets see how the new OnePlus flagship does. As we can see from the video the OnePlus 6 performed well in the scratch test with scratches appearing at levels 6 and 7. The handset has Gorilla Glass 5 on the front and the scratch test is in line with many of the other flagships available today. The OnePlus 6 performed as expected in the burn test and also performed well in the bend test, it looks like overall the handset is pretty durable.